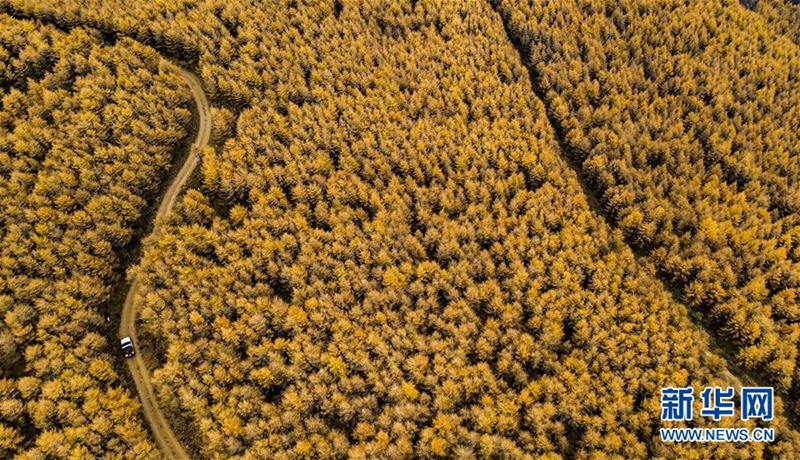 The beautiful Haodifang Woodlands in Qinyuan county, Shanxi province are surrounded by rolling mountains, and are currently covered in trees with golden leaves as the autumn season approaches. But the area was not always the natural, tree-covered beauty spot that it is today. Efforts to plant more trees in the area began as early as 1962, despite much poverty in the area at the time. In order to overcome difficulties with breeding seeds in mountainous conditions, a larch plantation covering more than 19 square kilometers was developed over a 20-year period. Thanks to the efforts of local people stretching back over several decades, the forest coverage rate of the woodlands now exceeds 98 percent. The forest area of Qinyuan county now covers over 1,460 sq km, with a forest coverage rate of 56.7 percent –– the highest rate in Shanxi province. And local natural pasture land covers 800 sq km.